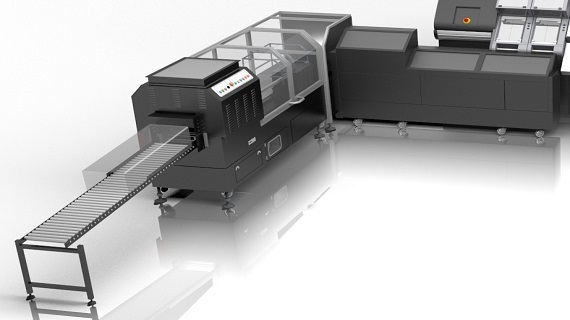 For added efficiency and security, the 7000i™ high-speed sorter can be connected to SmartPack™, our compact on-line, closed-loop packaging solution. The option to label each bundle with a time, date, barcode, QR code and any other conﬁgurable data that is required, provides full traceability of each individual bundle. Bundles of 500 or 1,000 banknotes are transported from the 7000i via a secure closed-loop conveyor system, into the shrink-wrapper where SmartPack wraps and seals them using a complete hermetic seal to create a strong tamper evident bundle, in accordance with the security criteria of central banks across the world. SmartPack™+ takes the packaging process one step further by connecting multiple sorters to one conveying and packaging unit, truly optimising eﬃciency. 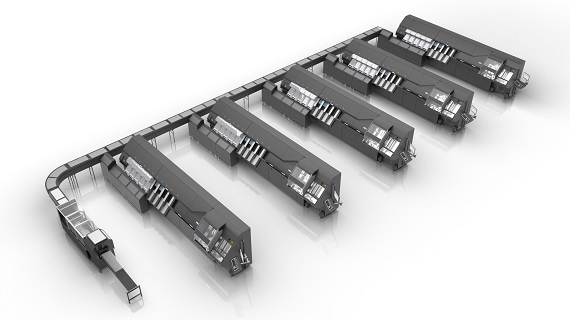 SmartPack+ integrates up to five 7000i high-speed sorters, each with their own in-pocket bundling, into one on-line automated packaging system.